Highway to Health is a preview of the larger Portrait of Los Angeles County human development report, which will be released in late November. Explore the data here. 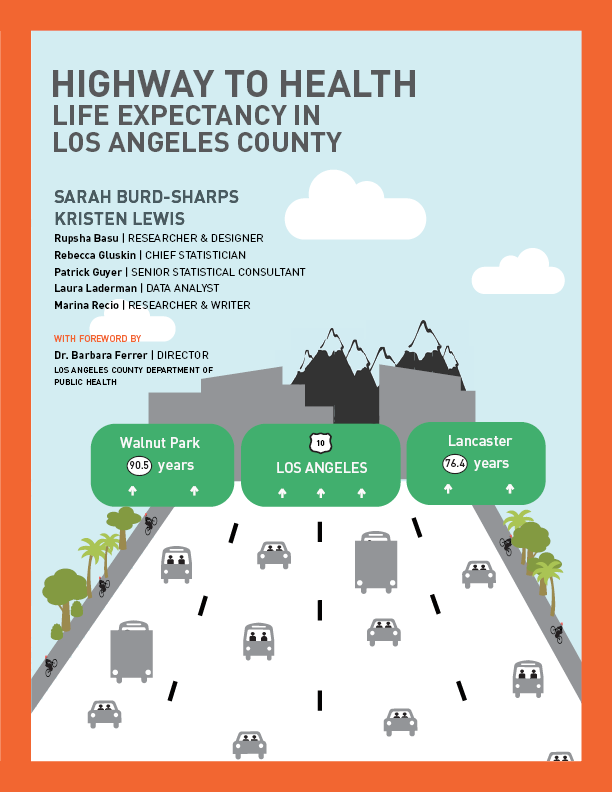 Published in collaboration with the Los Angeles (LA) County Department of Public Health, Highway to Health: Life Expectancy in Los Angeles County reveals up-to-date life expectancy calculations for cities and unincorporated areas within Los Angeles County, the first release of such data in more than a decade. The report examines 106 cities and unincorporated neighborhoods and includes recommendations for increasing life expectancy and reducing disparities. A baby born in Los Angeles County in 2014 can expect to live 82.1 years, several years longer than the average American born that same year, 78.8 years. If LA County were a country, it would rank eleventh in the world in longevity. 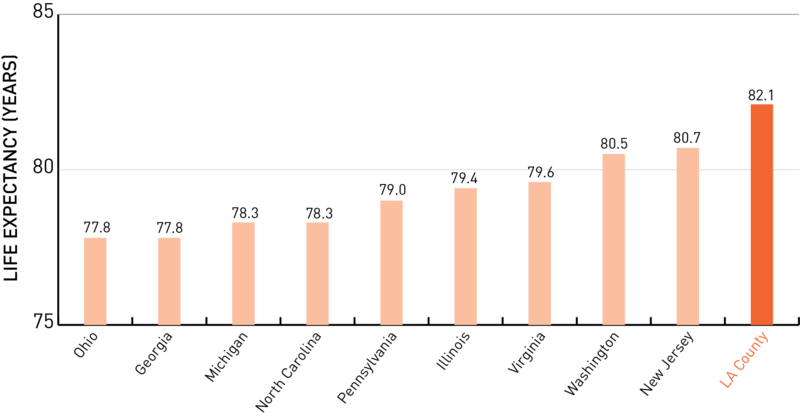 Los Angeles outperforms all nine states with populations of similar size (in the range of seven to thirteen million residents). The average LA County resident born in 2000 could expect to live 78.7 years. By 2010, life expectancy had increased to 81.5 years – an improvement of almost three years. 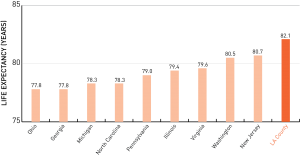 Within LA County, life expectancy rates vary by community as much as 14.7 years.